For potential homebuyers looking in Arlington County and Alexandria, Virginia, the choices are fewer now, not more. For potential homebuyers looking in Arlington County and Alexandria in Virginia, the choices are fewer now, not more. Long & Foster Real Estate Inc. said active inventory in Arlington, or the number of houses and condos on the market for sale in February, was down 39 percent from a year ago. There were just 239 active listings at the end of last month in Arlington. 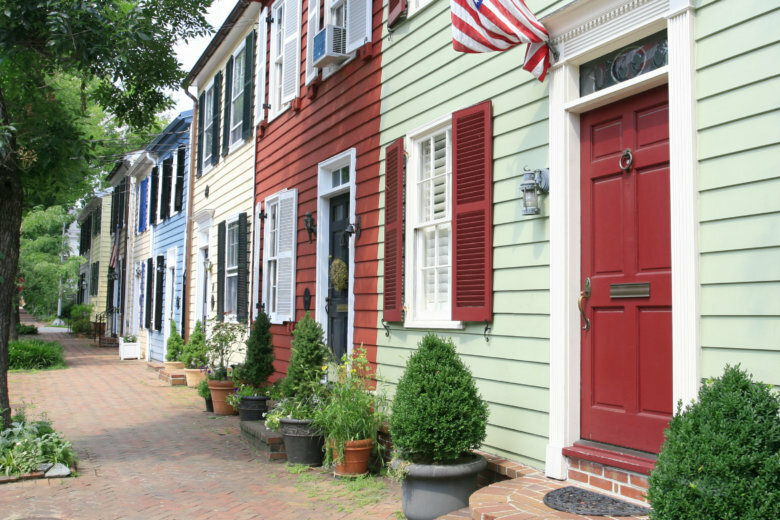 In Alexandria, inventory is down 51 percent from a year ago, with just 167 active listings at the end of February. The number of homes for sale was noticeably down from a year ago across Northern Virginia, with inventories down in Prince William County, Fairfax County and Loudoun County down 16 percent, 14 percent and 13 percent respectively. “February numbers are not surprising,” said Larry “Boomer” Foster, president of Long & Foster Real Estate. “The Amazon effect is still happening in Arlington County and Alexandria City, where we’re seeing monstrous contractions in inventory,” he said. The number of new listings, a measure of sellers putting their homes on the market, outpaced the total number of active listings by the end of February, indicating that desirable properties are finding buyers almost as soon as they hit the market. The median price of a home that sold in Arlington County in February was $567,500, up 5 percent from a year ago. In Alexandria, the media selling price last month was $522,500, though that is down 7 percent from February 2018. Despite the tight market in Northern Virginia and rising prices, Foster does not see another housing bubble, saying things were different in 2005. “Home affordability is around 150 on the index, meaning that the median household income has 50 percent more money than is needed to afford the median home price,” he said. In the District, the median selling price in February was up 8 percent from a year ago, at $578,000. In Montgomery County, median selling prices were up 2 percent to $419,450.